Who for such daintiness would not stoop? I love the versatility of soup. The endless possibilities that it offers at different times of the year and the variety of accompaniments that go well with soup. soup is one of the most versatile dishes you can think of. Soup and health are often linked and understandably so: it is soothing, easy to eat and digest and can demonstrate that lots of flavour and texture + calories do not have to go hand-in-hand. Antoine Careme, arguably the greatest chef of all time and founder of haute cuisine summed it up by saying “there is a whole world of health and eating pleasure in soup”. Trying to eat more locally grown ingredients can be a challenge, but it’s easy at this time of year. The two recipes that follow make the most of British vegetables that are plentiful now. You can easily substitute other veg for the ones I used in the minestrone, but I urge you to give watercress a try in the pesto. It really is rather wonderful. If you can lay your hands on them, cob nuts make a nice, seasonal change from hazelnuts. If you want to add pasta to the soup in addition or instead of the pearl barley, I recommend that you boil it separately and add it to the plates just before serving. In case you have soup left over, the pasta in it does not re-heat well and because too soft. I keep the rinds of Parmesan and other hard cheeses to flavour minestrone and leek & potato soups; it really makes a huge difference to the depth of flavour. The field mushrooms for the mushroom soup are roasted first with garlic and lemon juice, then blitzed to an almost black pulp with their juices before being gently simmered with breadcrumbs and balsamic vinegar. The result is a thick, dark and deeply savoury, almost “meaty”, soup. Serve with some garlicky bruschetta made with stale sourdough. Here goes … both recipes serve 4 generously. 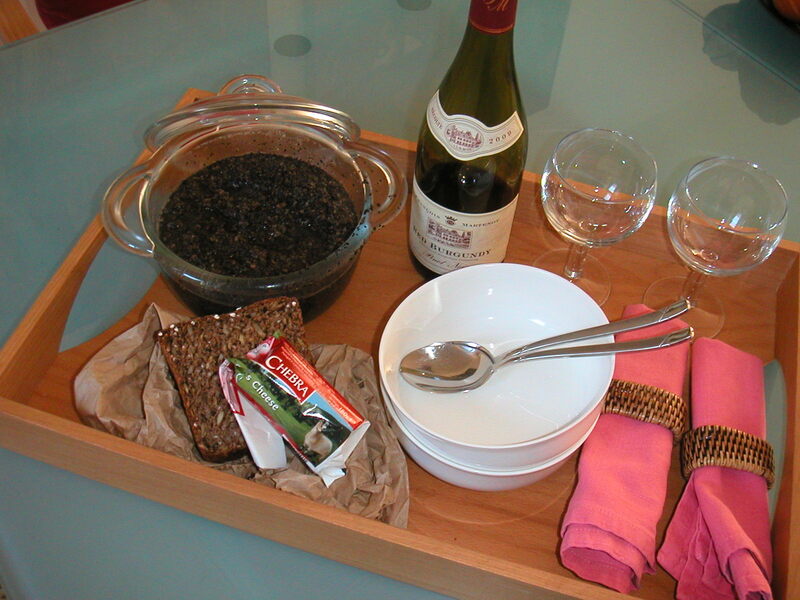 Bon appetit and happy slurping! 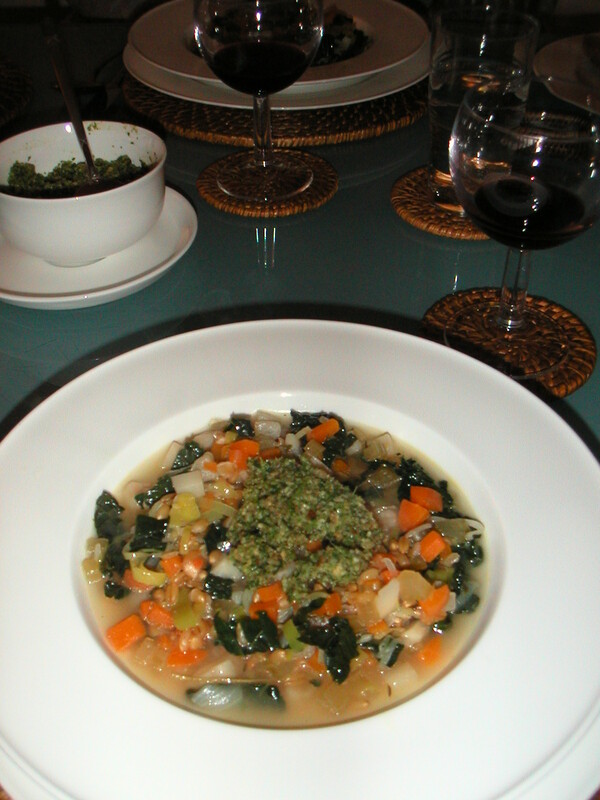 This entry was posted in Autumn minestrone with watercress & hazelnut pesto, LookLocal, meals made easy, real food, Recipes, Roast mushroom soup and tagged Autumn minestrone with watercress & hazelnut pesto, eating for health, quick suppers, real food, Roast mushroom soup, seasonal food, soup. Bookmark the permalink.